The new Zero G series from Blizzard is a sleeper. Somewhat secretly, Blizzard has been making backcountry skis for other brands and it shows on their first lightweight self-branded skis. With a 3D carbon layer and a full-length sidewall, the skis can hold an edge on the steeps. 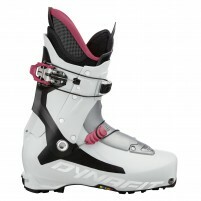 And with subtle rocker and 85mm waist, they perform in variable conditions and of course you’ll smile in powder. The women’s Zero G 85 is no less capable than the men’s version and we’d be surprised if some men didn’t pick it based on color. Simply a great all-around ski for climbing mountains and skiing them. Carbon Drive is a unidirectional fiber layer that adds multidirectional stiffness. Sidewalls run the full length of the ski to provide dampness and impact protection. Core is made from Paulownia which is a strong, lightweight wood found mainly in Asia. Mild rocker supplements the camber underfoot, a profile recipe for success. Hey! How do you think these would perform as a telemark ski? Hey Ira! They might do well except for the fact that the tips are pretty dang stiff. The ski is stiff throughout but it softens up near the tail a little bit. The tip has a decent amount of rocker but they're also pretty stiff so it might be a trade-off there. Question: I am a guy (intermediate skier) 5'6" and 165 lb, what size is better for me (164 or 171)? normally I ski length between 160 to 165 (shorter is better on up hill kick turns), I am taking resort up hill and some times off piste. the price for women 171(and I don't mind the top sheet color as long as the same ski construction) is really good. please advise. Hey Lyman! At 5' 6" you could definitely go either way depending on your usage intention. If it's strictly going to be for ripping groomer laps in the resort and then venturing off-piste as well, the 171cm would be a pretty easy choice. Though for a steep ski or mountaineering ski with some use in the resort as well, the 164 is the sensible choice and would still do really well in the resort though you may sacrifice just a touch of high speed stability. For reference, I am ~5'7" and ski the 164 Voile Objective as a steep ski/mountaineering ski. It is very tempting to get the 171 cm Blizzard Zero G because of the price but I have been told that this is a very stable ski. I am an aggressive skier and I have skied skis that are 174 cm in length. However, I am 5.4 and weight 125 pounds, do you think the 171s are more than I can handle? Hey Muy! I think it's totally doable, but it depends a bit on the boot you're going to be skiing in. If you're skiing in a really light boot, the length won't play to your advantage. If you're skiing in a robust and stable boot then the length will definitely work in your favor! For the record, i'm a 200+lb, 6ft male, and I ski the 171 with a scarpa alien rs, and love it. This class of ski is all about how little weight you can get away with, I think you would totally shred the 157. What size would I get in the Blizzard Zero G women's? I am an advanced skier, 135 lbs, 5'4". Hi Sheli, the 157 would be your best bet for most applications. Is the top sheet the same of the women's blizzard zero g 85 2015/2016 as the 2016/2017? Hi Auro, no, that is the only thing that changed between those seasons. what is the difference between the women's and men's model (besides the graphics)? Hi Peter, other than color and length-availability, they are the same. Hi Guys- Is the 2015/16 ski the same build? Hi David, yes it is. Just the graphics were updated for 16/17. Everything remains the same for 17/18. Hi Susan, these are no toy! You certainly could handle the 164, but it's OK to go shorter in most conditions since there is enough stability and edge hold. Not the best length for deep powder but I'm guessing you have better options there anyway. I love skiing stiff, carving alpine race skis and am trying to figure the difference between the men's and women's 0G 85. Have you skied both and if so what do you think? I need the 157 cm and am trying to decide weather to get the women's 0G now or wait for next years men's in that size. Also, feedback on the Blizzard ( Pomoca?) skins vs. BD nylon Ascension. Hi Kath, they are the same except for color. I've skied both and can verify. The Blizzard skins are Pomoca's race formula, so much better glide and lighter than the nylon. They wear a bit faster but it's not a major problem. I am wanting to buy a pair of Blizzard Zero G 85 Women skis, currently have a pair of Salomon Quest boots 22/23.5 278mm and am looking at some bindings for these skis can you please help me out. I live in Australia and have a friend coming out on the 8th July from San Francisco so am needing some help ASAP so she can bring them all with her!!!! Hi Caroline, absolutely! Quickest way to find the right binding is to plug your data into our binding finder. We'll be here to help.